Did you ever consider forcing your heroes to level up via consuming items? Well, this script makes it possible! Still, it does not replace the original experience system that lets you level up after defeating monsters... unless you take advantage of its new experience points disabling feature! Now Titles are kind of linked to actor's class specific bonuses! Please read the comments I left there to learn all about how to setup and use my script. nice! I tested it out and its really cool! new logo for Yesteryear created by Lunarberry! I also got the chance to test this. Great job! The BUMP is watching some of the World Cup's matches! Hey guys! 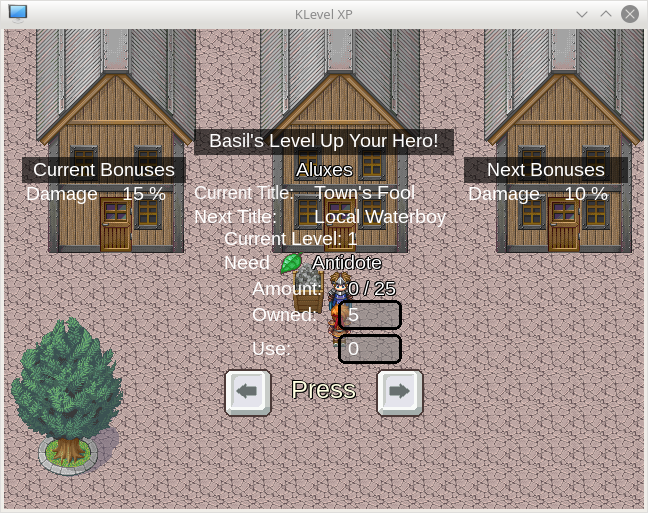 Guess what has happened lately... Yeah, I did update my KLevel XP script once again! 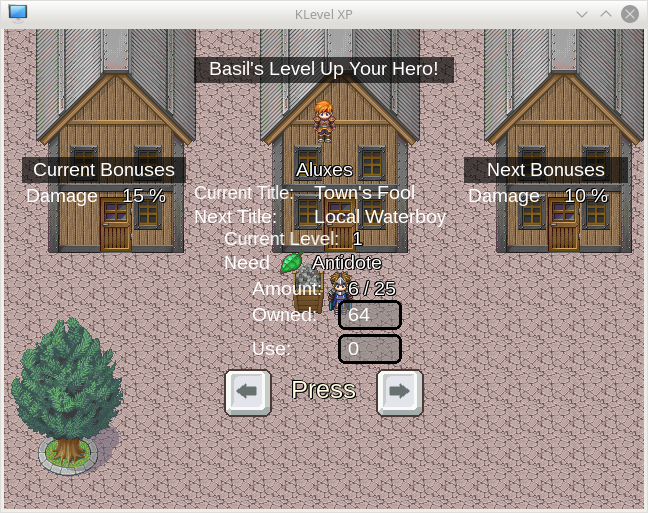 It comes with new features like disabling the experience points leveling system and the curious title linked bonuses! The BUMP was not asleep! Definitely not! A new release of KLevel XP is already at your disposal, my fellow forumer! It sports version 1.1.2 of my tiny script. 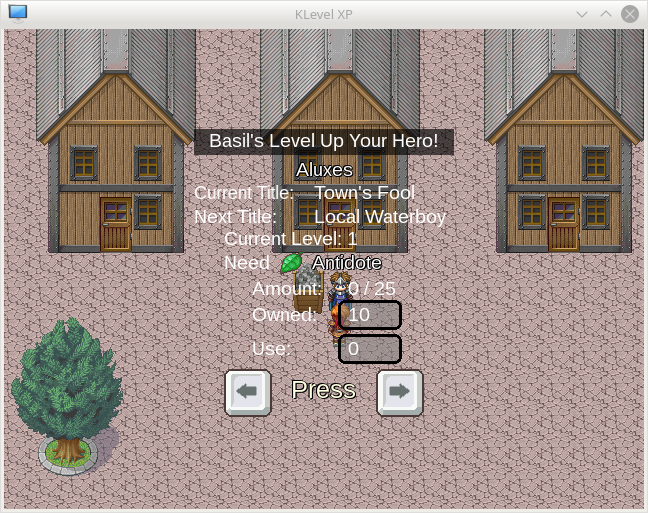 The new features would be a character representing the current hero on screen and a level up animation, which should be defined via setting the ANIME_ID Constant's value. (By the way, you may find it in the KLevel module in no time.) There are some minor changes as well, but they are not worth recalling all of them right now. A maintenance version (1.1.4) was uploaded around midnight. The only thing I find worth mentioning here would be it sports a beta version of a new scriptlet, namely KSacrifice XP. It would let you exchange some stat points for another stat points and define a maximum number of points to be distributed to a single stat. It may also cost some money, items are optional. The demo is missing the sacrifice stats.txt file. Beside that, the script improved alot and I couldn't find any bugs so far. Now there is a TXT file that should help you understand how to configure the KSacrifice XP part, though I am not releasing a newer version of that script.